For a romantic, weekend getaway experience the southern grace and cosmopolitan style of Dallas, Texas. You'll find romantic hotels, world-class dining and entertainment venues. Outdoors attractions like the Trinity River offers couples seeking romance many options for spending quality time together in nature. Deep Ellum is an arts and entertainment area located near downtown Dallas. Here you'll find a variety of jazz and blues clubs like the Bone Lounge that has a rooftop patio that overlooks downtown Dallas and the Liquid Lounge that offers an intimate ambiance. After a night out in downtown, check into the Hotel ZaZa, where you can spend a romantic evening at the Urban Oasis lounge that offers poolside seating, specialty cocktails and a picturesque view of the Dallas skyline. The hotel has a day spa that offers an in-room service for a romantic weekend getaway when you reserve a concept suite. The hotel ZaZa has 153 guests-rooms and custom designed suites. Each room offers complimentary wireless Internet and daily coffee service. In 2009 the Hiatus spa and retreat was voted the best spa in Dallas by citysearch.com. This luxury spa provides a relaxing massage service in their couple's suite. The Hiatus spa is six miles from the Joule Dallas hotel which is nstled in the downtown Dallas business district and shoppers paradise. You can spend a romantic evening in the heated rooftop pool that extends 8 feet beyond the hotel's structure. In 2009 "Travel & Leisure" named The Joule "The Hottest Hotel Rooftop Bar." Download your favorite romantic music to your iPod and bring it with you because each guest room, suite and penthouse offers an iPod docking station. The hotel offers romance packages like the Lavish in Love that includes chocolates, a bottle of champagne, rose petal turndown services, organic eggs breakfast in bed for two, as well as a 2 p.m. late checkout and valet parking. Enjoy a romantic evening with a horse-drawn carriage ride through the West End Historic District. 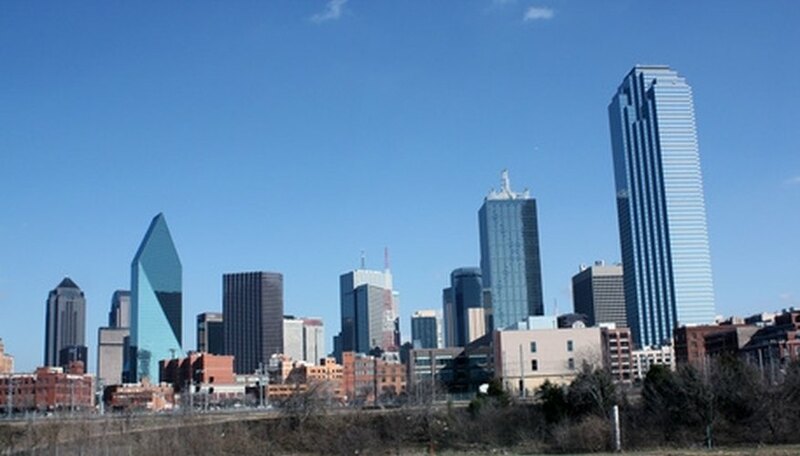 Dallas West End Historic District is located in the northwest area of downtown Dallas. The West End has a variety of shopping, romantic dinning, attractions and entertainment events. The luxury Adolphus hotel is less than a mile from the West End. The hotel has 422 guest rooms including 16 suites. The hotel offers romance packages and world class dinning in their French Room restaurant. In 2009, AAA awarded the restaurant a 5-diamond award, and "USA Today" and the Zagat survey named the French Room the number one hotel restaurant in America. Dean, Marrissa. "Romantic Weekend Getaways in Dallas, Texas." Dating Tips - Match.com, https://datingtips.match.com/romantic-weekend-getaways-dallas-texas-6157030.html. Accessed 20 April 2019.